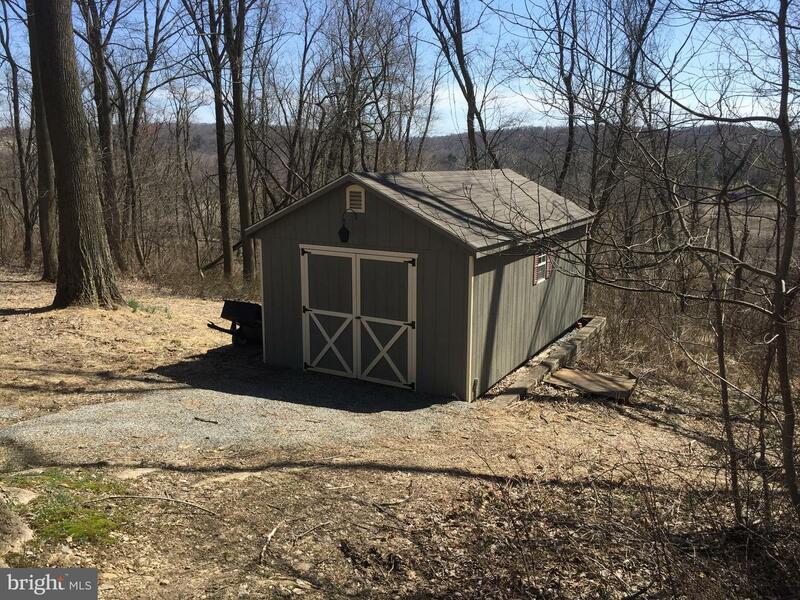 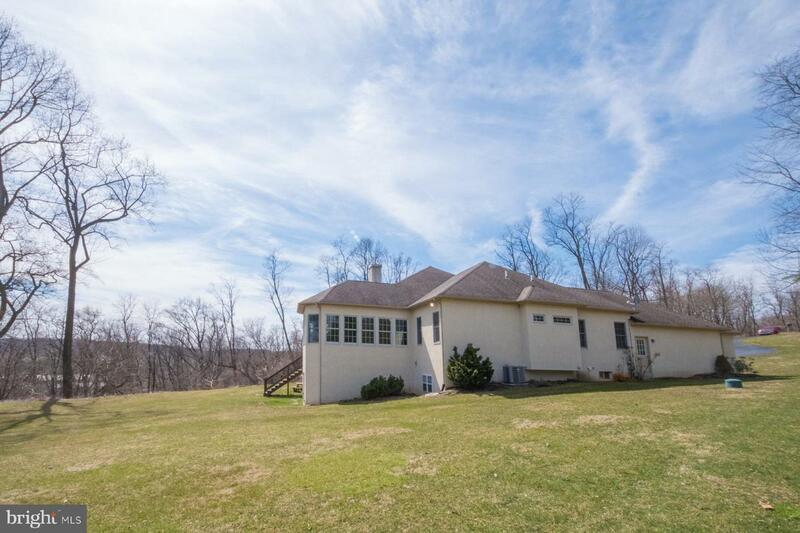 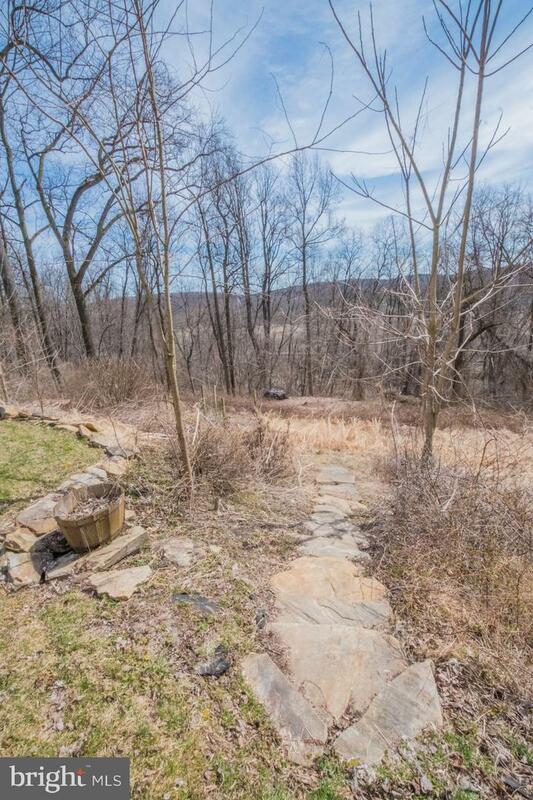 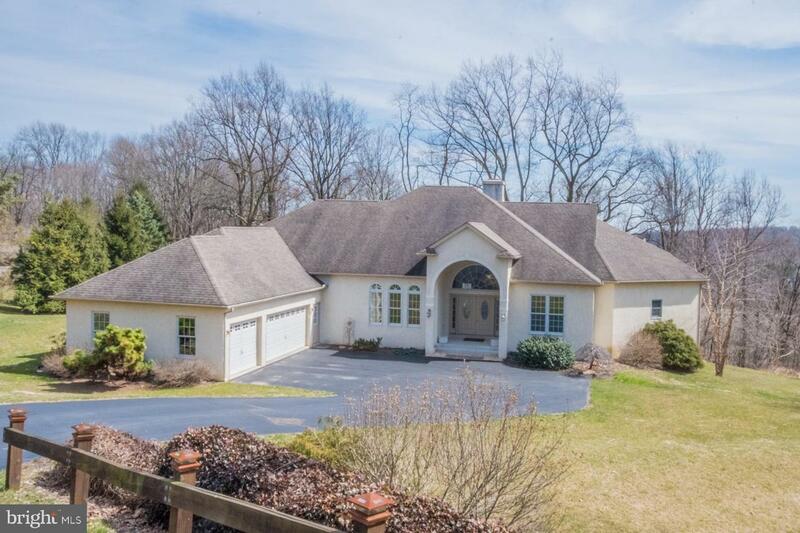 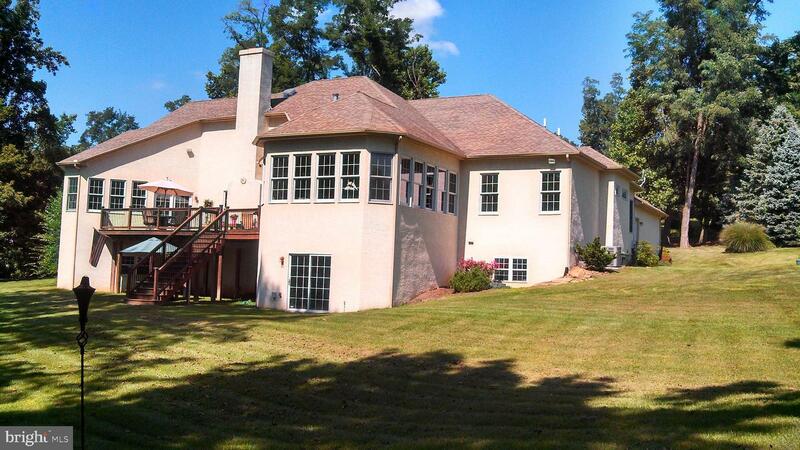 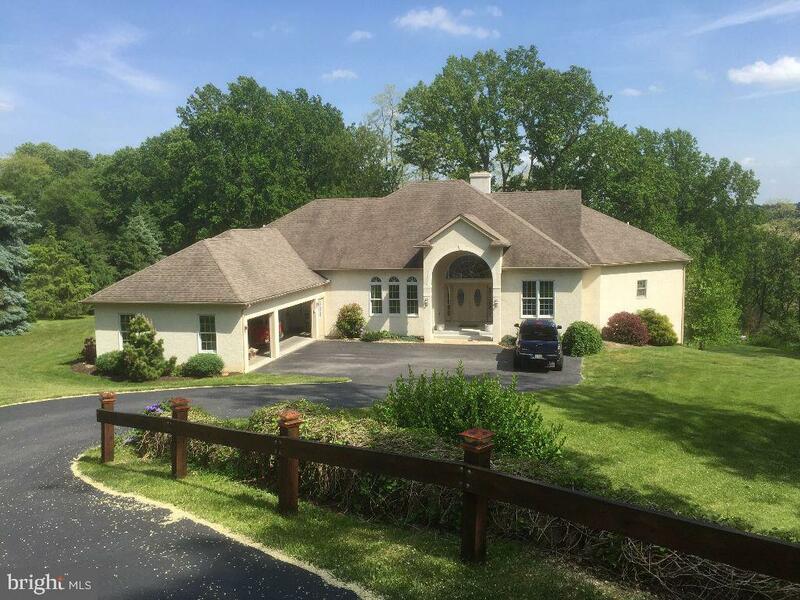 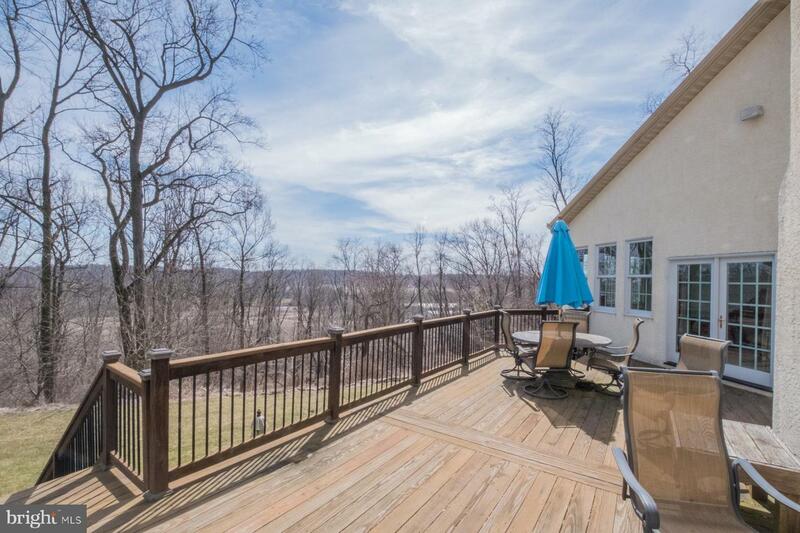 A rare opportunity exists here to purchase a custom sprawling ranch home on a 5 acre lot! 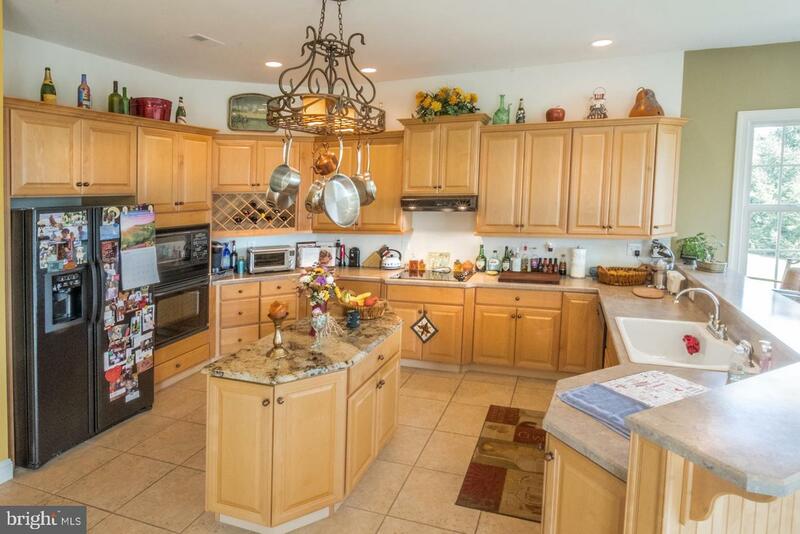 The community consists of all custom built homes that are all situated on 5+ acre lots. 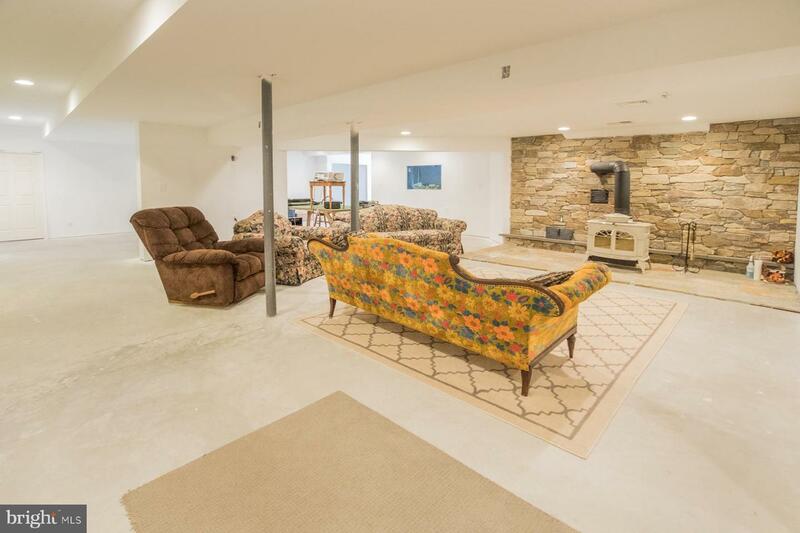 The home must be seen to be appreciated. 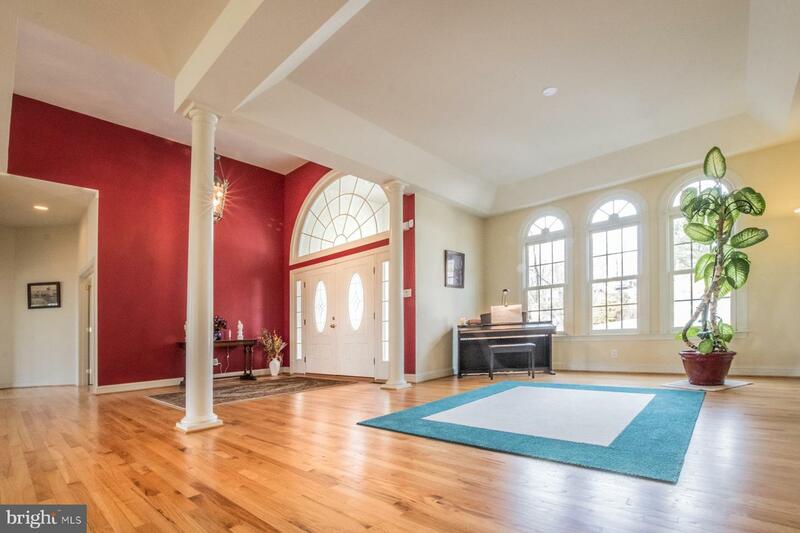 Some key features include the impressive foyer with a huge half round window above the double front door and beautiful hardwood floors. 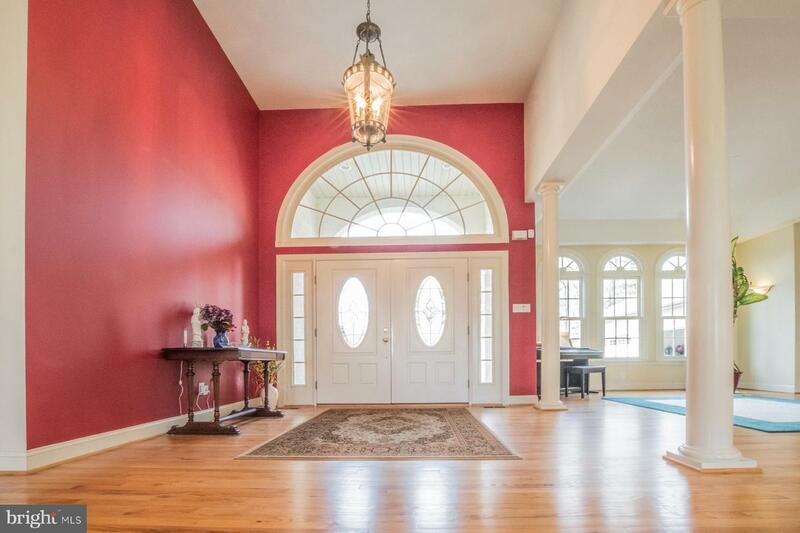 The foyer opens to the dining room that also has hardwood flooring and a tray ceiling. 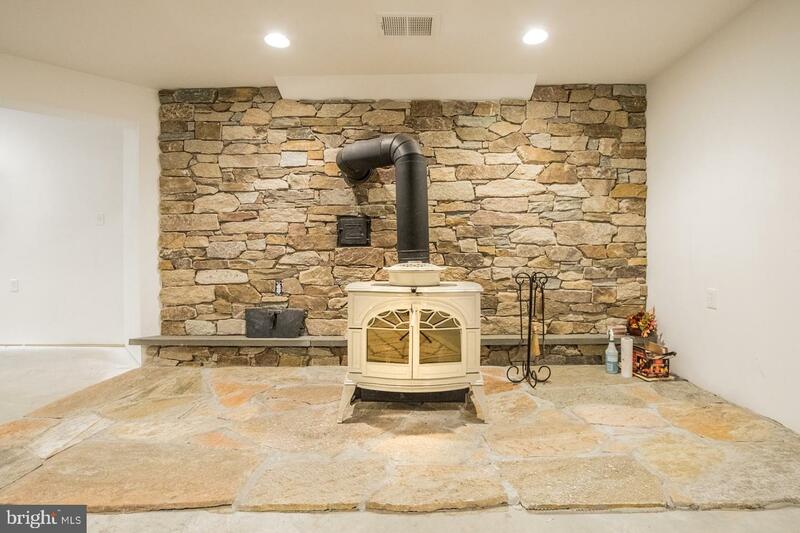 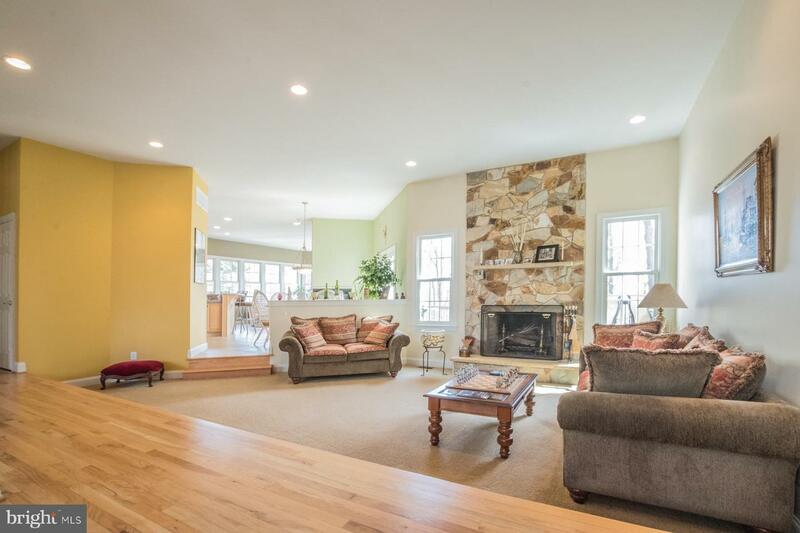 Step down to the sunken living room with a stone fireplace and recessed lighting. 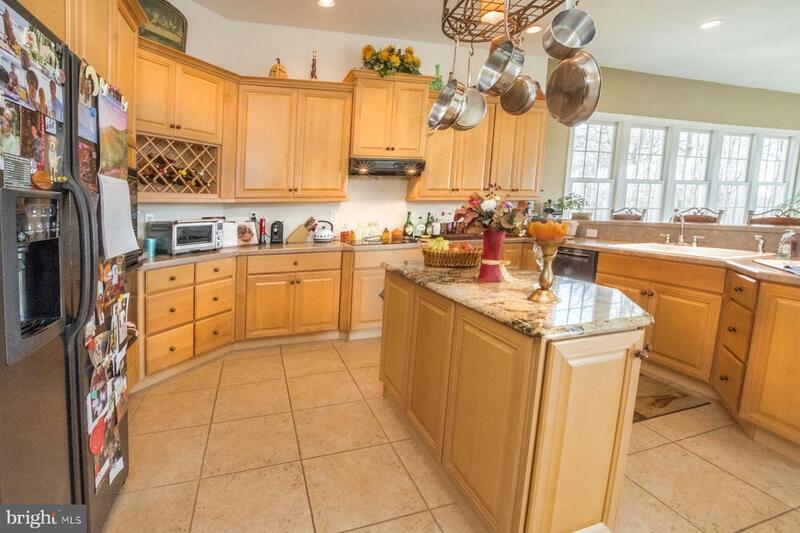 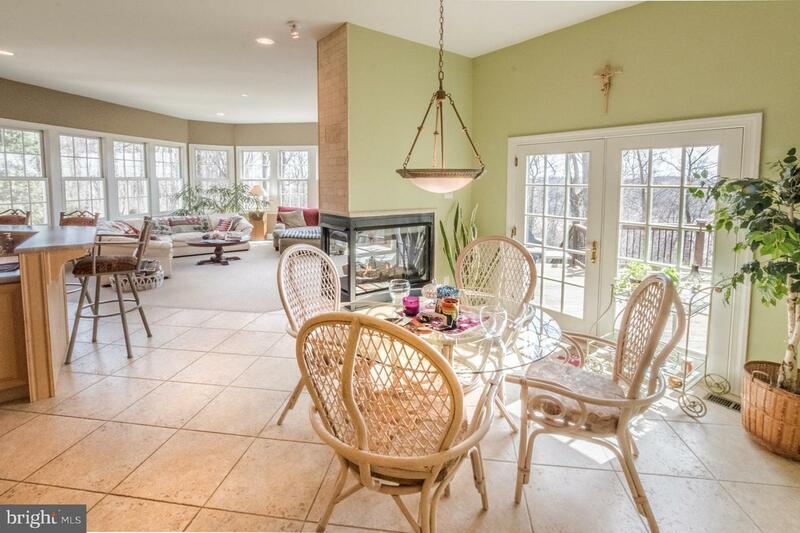 The kitchen eating area boasts tile flooring with an atrium door to the rear deck. 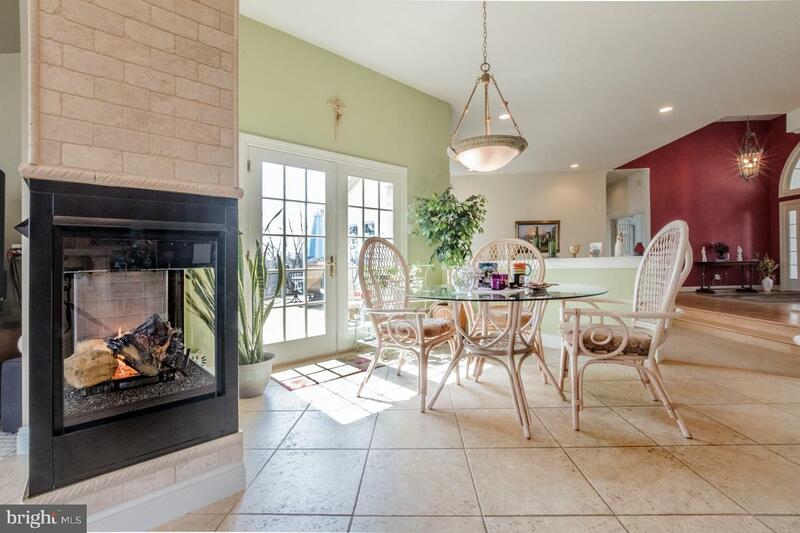 There is also a see thru gas fireplace that is between the eating area and family room. 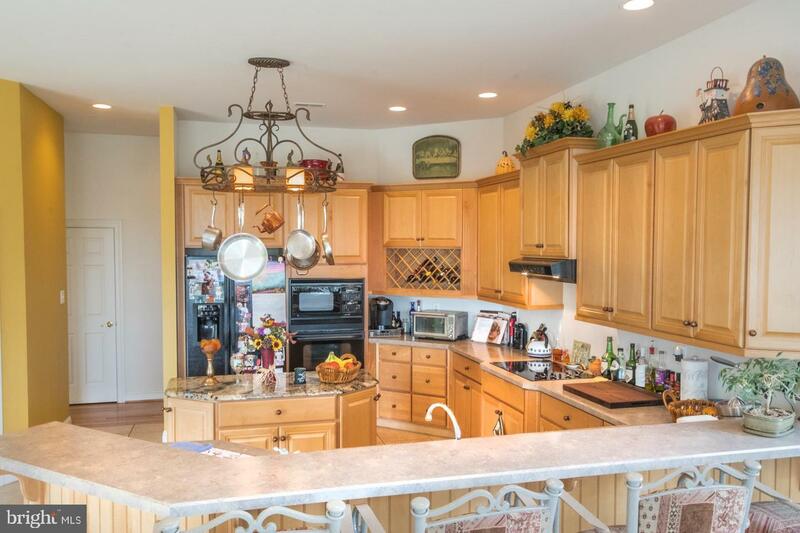 The kitchen also has tile flooring, an island with granite countertop, built-in microwave, oven with separate cooktop, wine rack, and an abundance of cabinets. 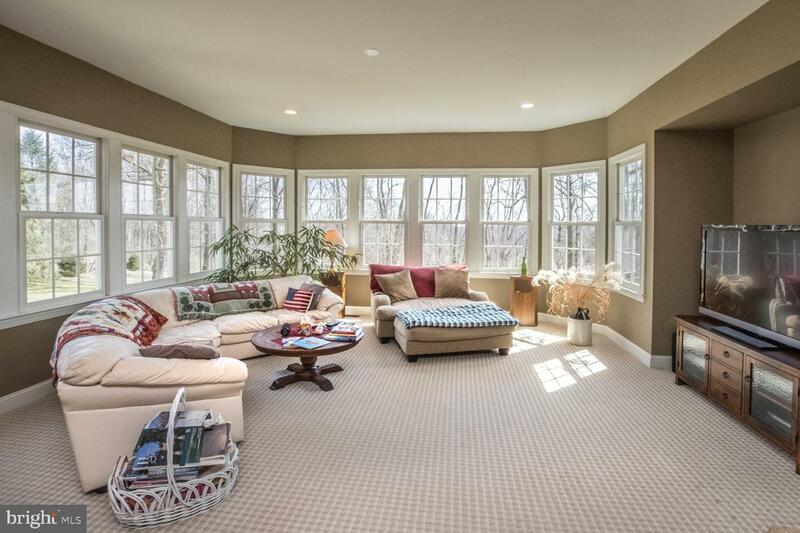 The family room with berber carpeting is loaded with windows for great natural lighting. 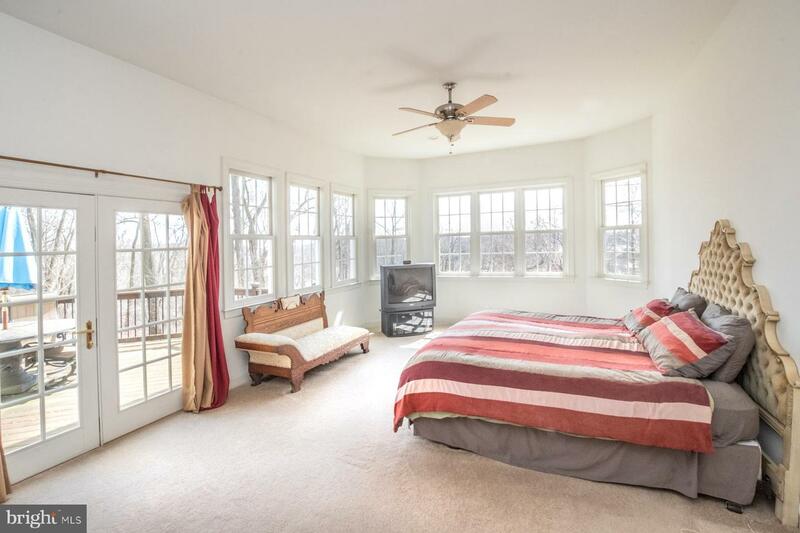 On to the spacious and bright master bedroom with a large walk-in closet and another atrium door that leads to the rear deck. 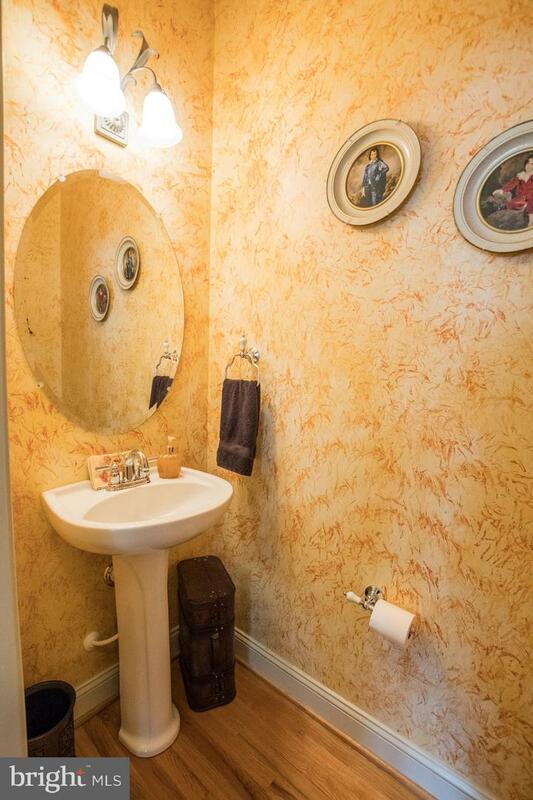 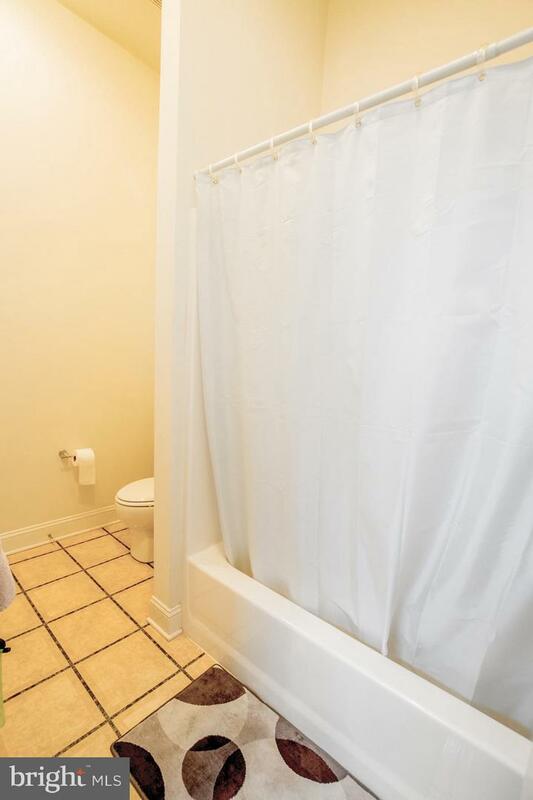 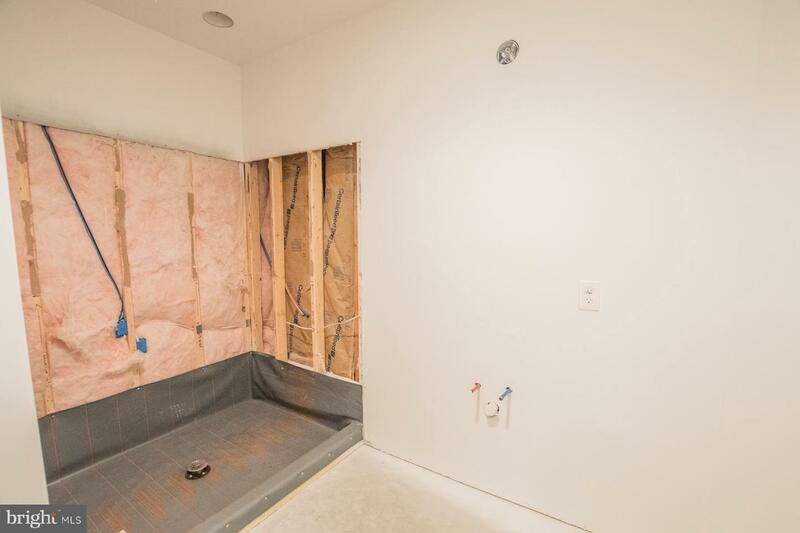 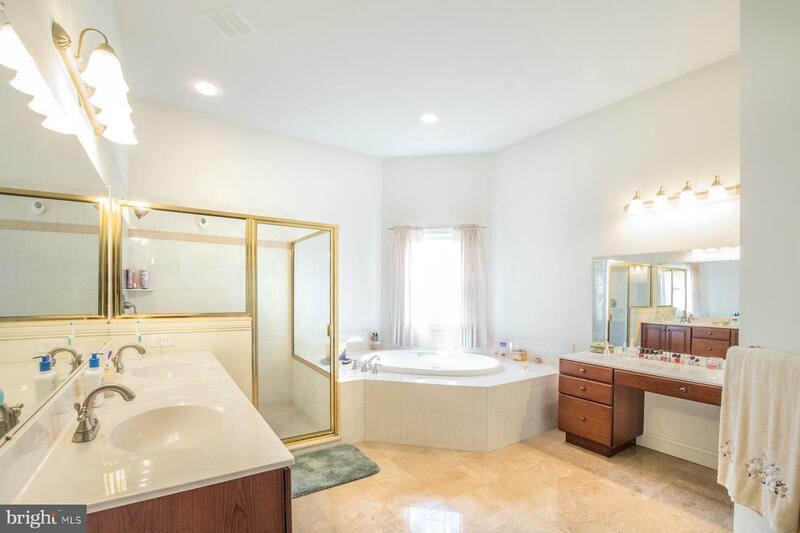 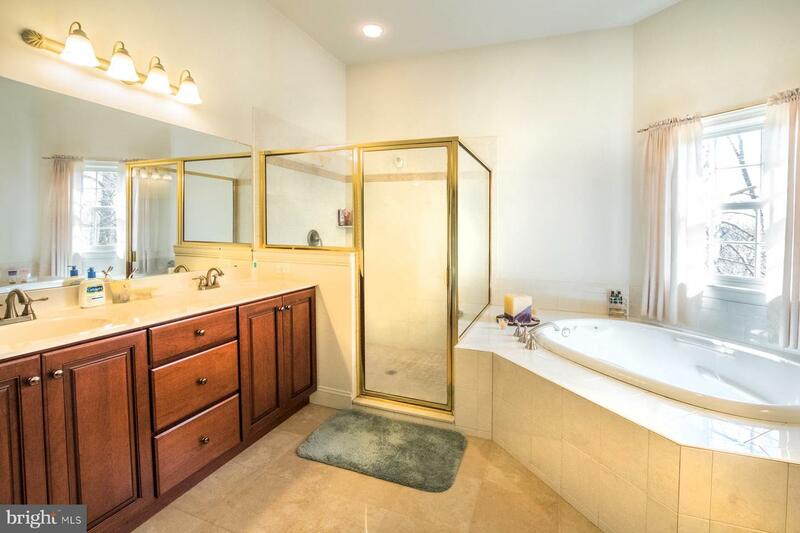 The master bathroom has tile flooring, a double vanity, a make-up area, a corner jetted tub and a large shower. 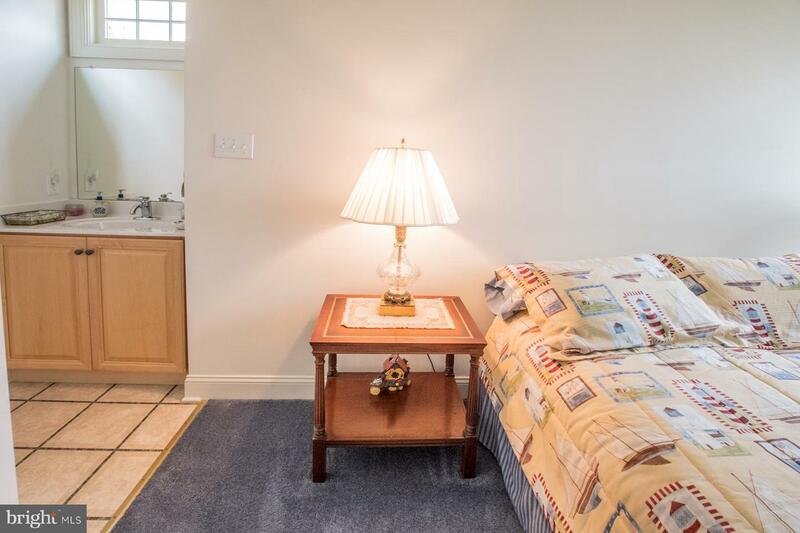 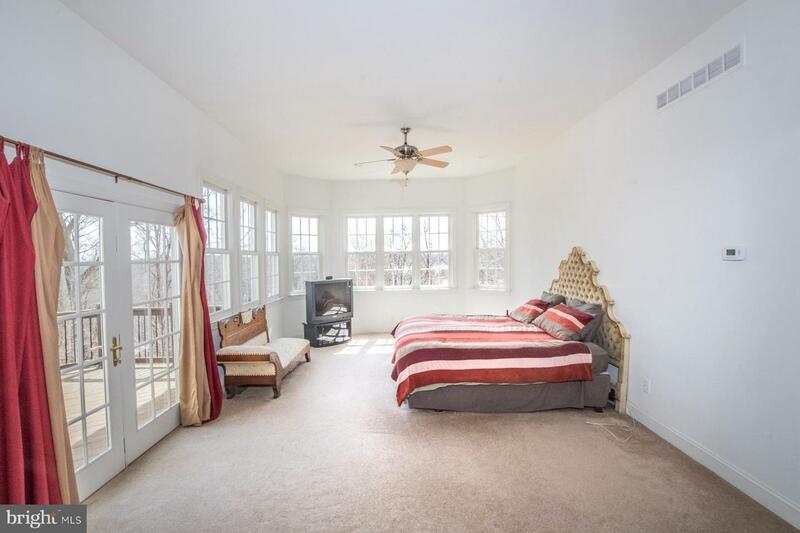 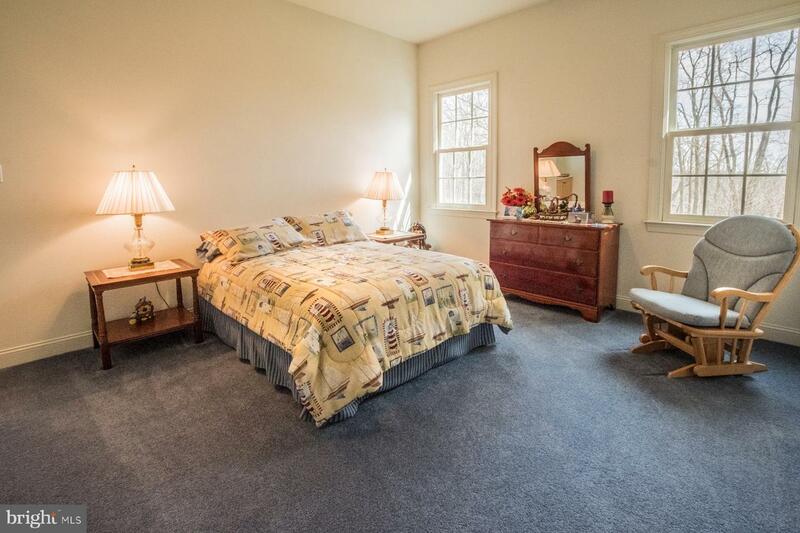 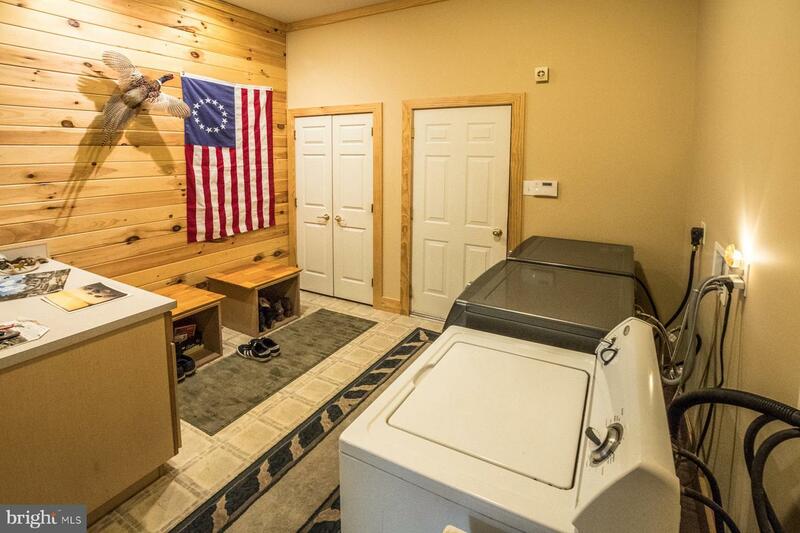 There are 2 additional bedrooms with large closets and an adjoining bathroom. 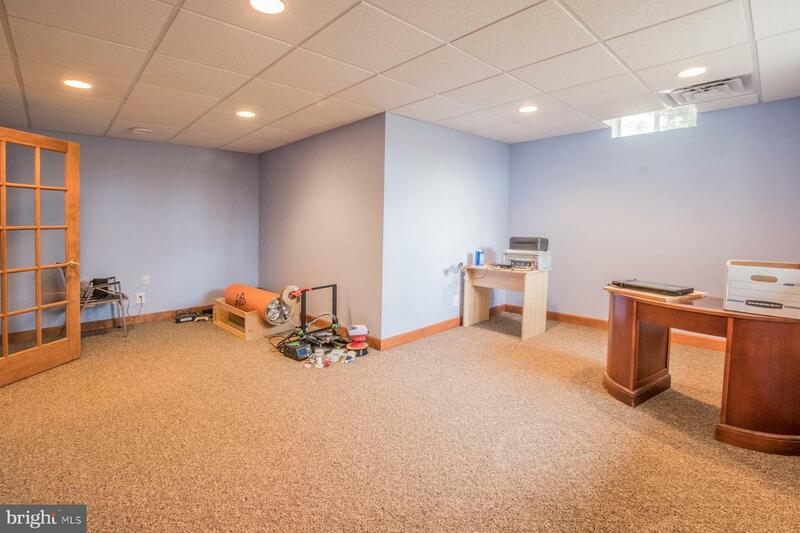 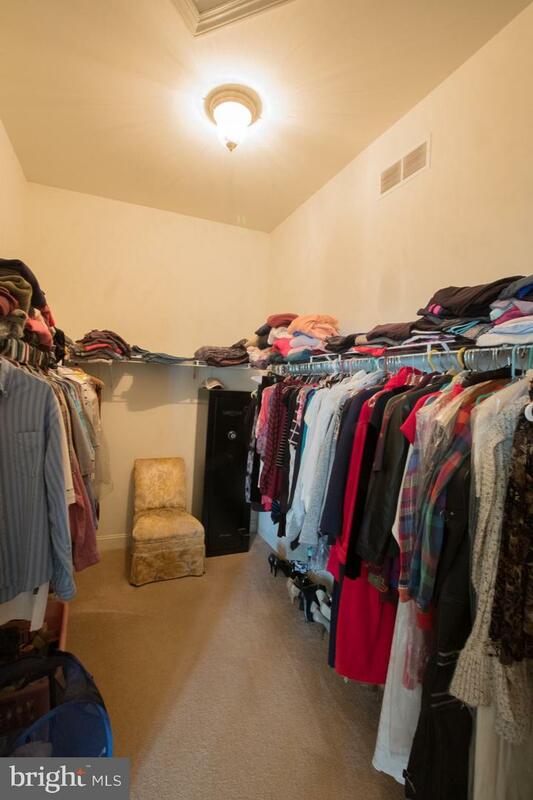 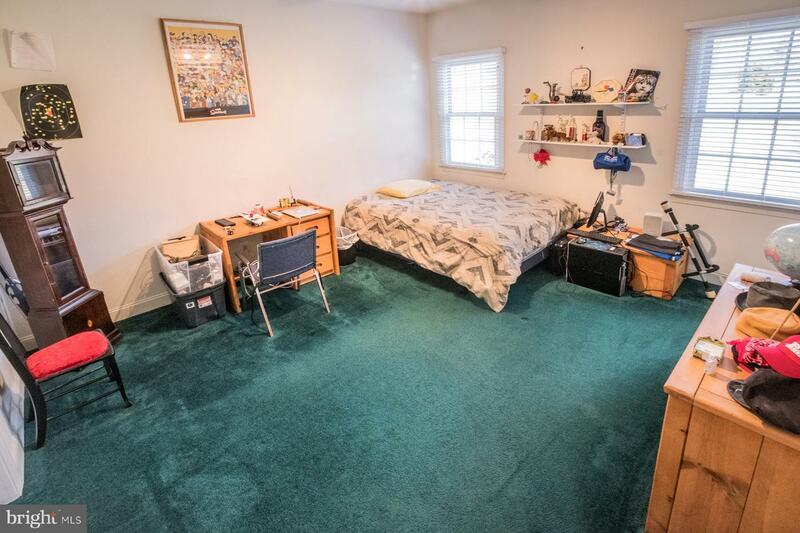 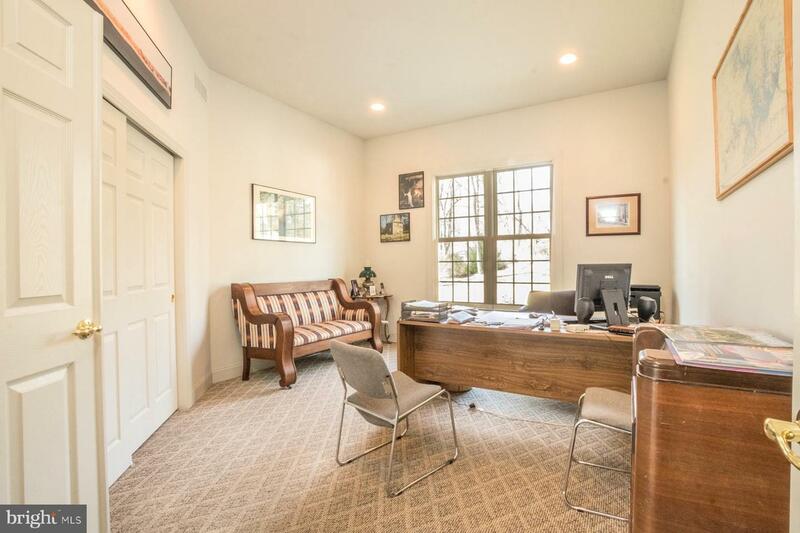 There is a 4th bedroom currently used as an office with recessed lighting and a large closet. 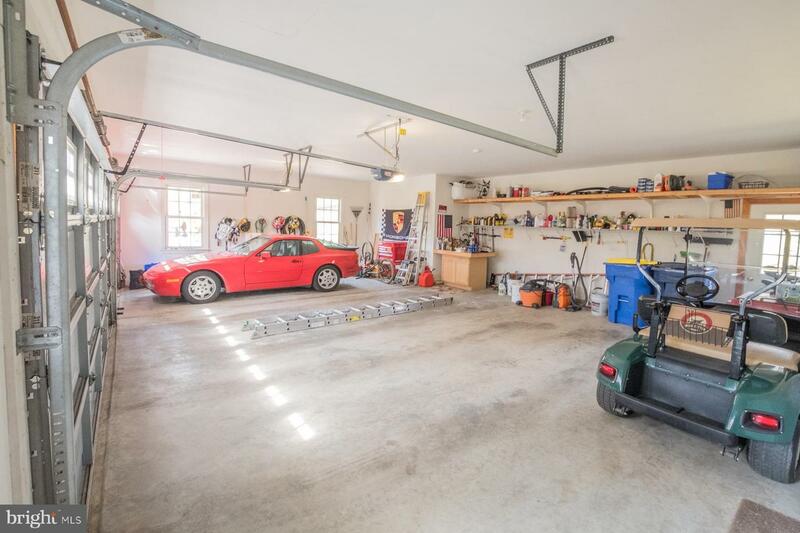 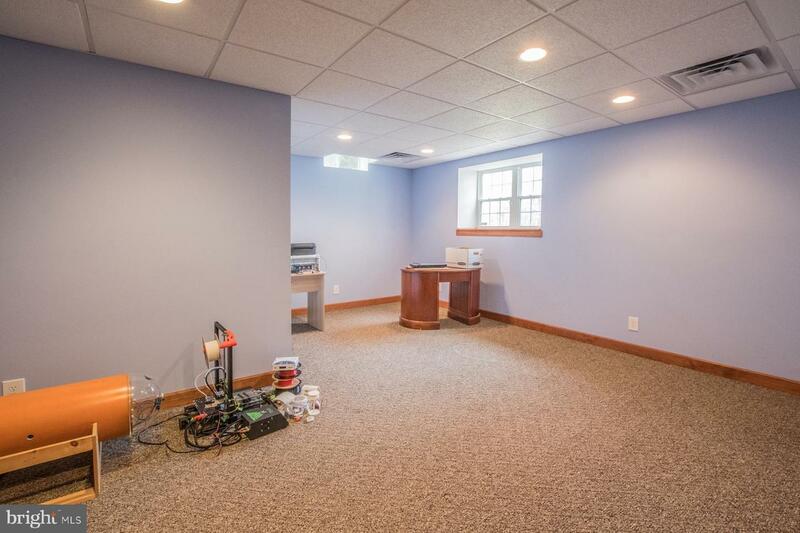 A powder room with hardwood flooring, and a large mudroom/laundry room, with access to the 3 car garage, complete this main level. 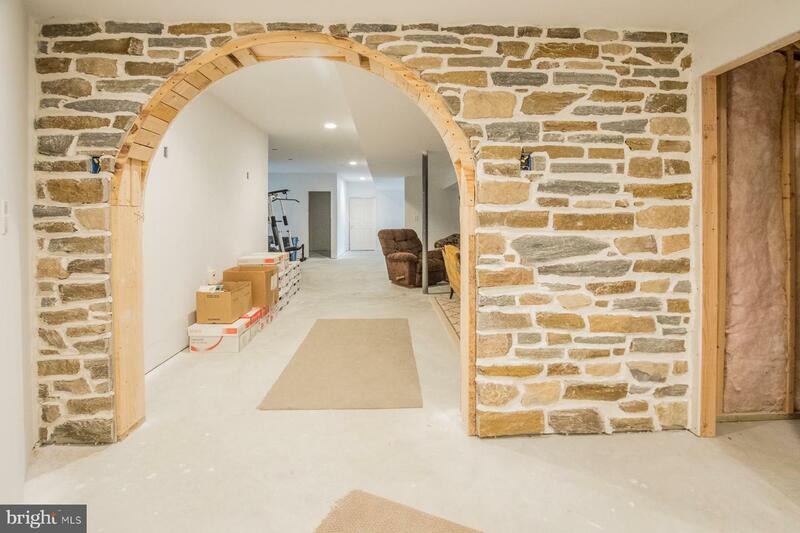 Now to the basement that is partially completed with many wonderful features that include a sitting area complete with a stone wall and stone floor, a built-in aquarium, a spacious office or bedroom, another custom stone wall with a rounded archway, a full bathroom that has not been completed but is roughed in and drywalled, and so much more. 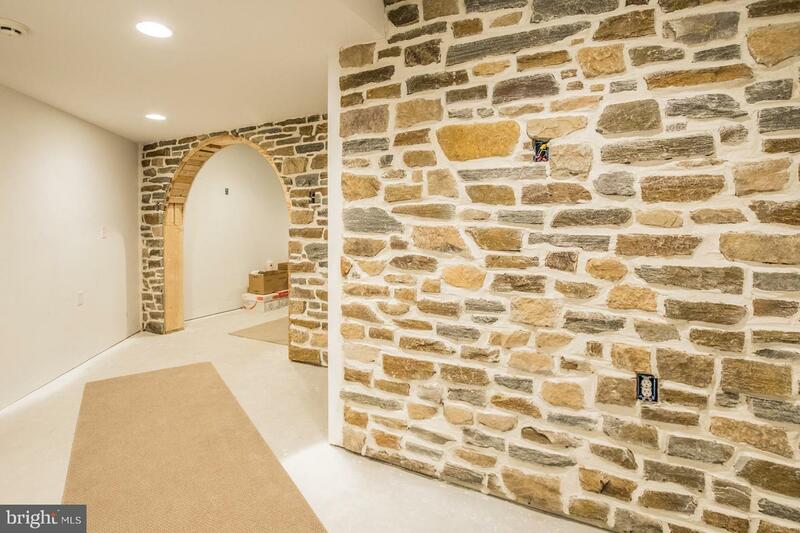 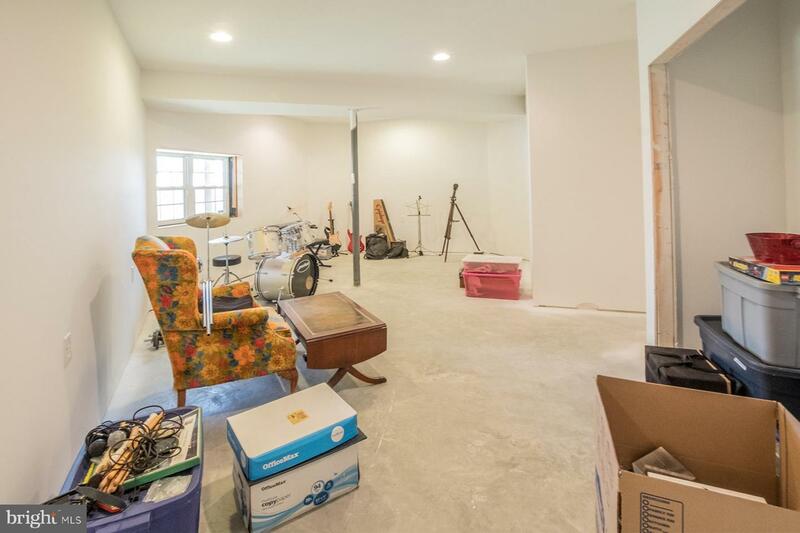 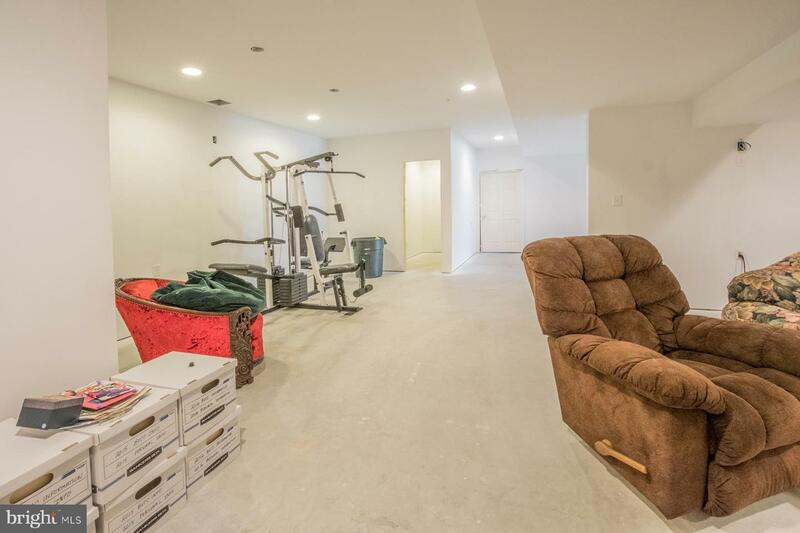 With some finishing touches this walk-out basement can be spectacular! 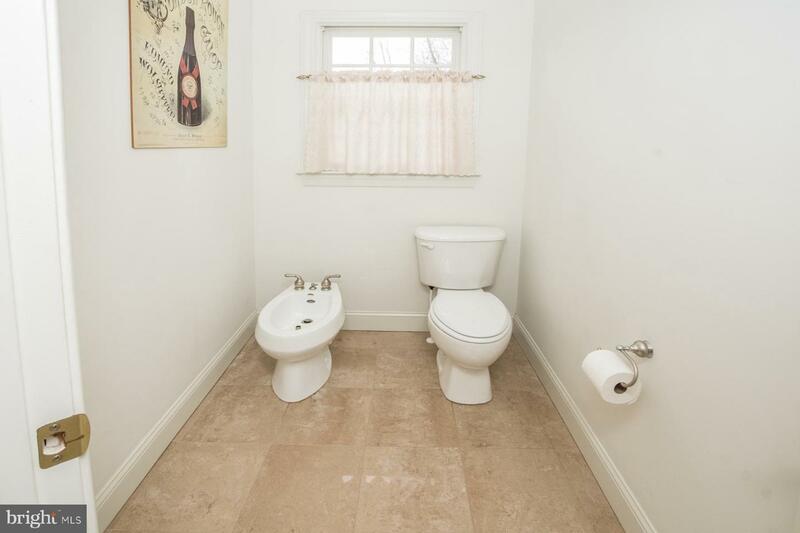 There are so many other custom features, just too many to list here. 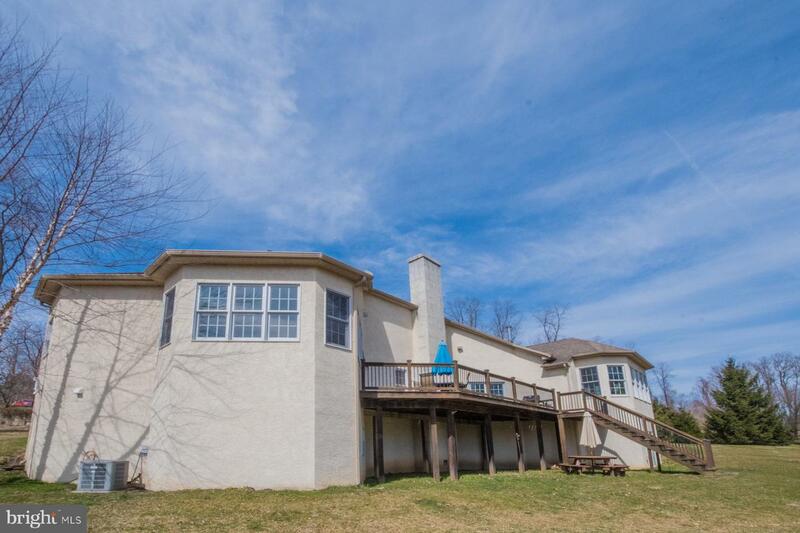 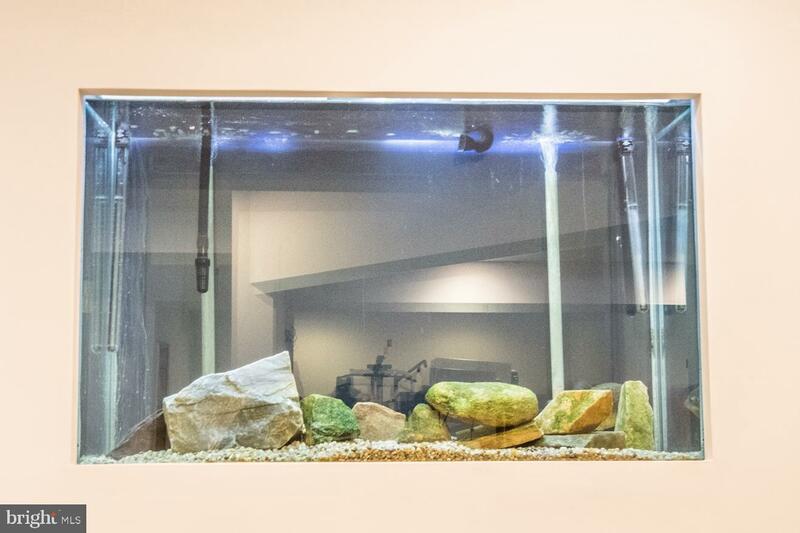 Come view this home now and see for yourself.